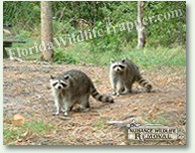 Nuisance Wildlife Removal provides professional wildlife control for both residential & commercial customers in Sarasota Florida. We offer custom animal control solutions for almost any type of wildlife problem, whether it be the noises of squirrels running through the attic, a colony of bats living in a building, or the destructive behavior of a raccoon or other critter, we have the experience and the tools to quickly and professionally solve your problem. For a consultation, give us a call at 941-256-9453. Not many Sarasota pest control companies are licensed and insured professionals, specializing in nuisance animal removal. Make sure that you hire a competent expert for your Sarasota exterminator of nuisance wildlife. At Nuisance Wildlife Removal, we will be courteous and friendly and take the time to answer your questions. Give our Sarasota trappers at Nuisance Wildlife Removal a call, and we will listen to your problem, and make an appointment to perform an inspection. Florida is full of wildlife, including snakes, squirrels, raccoons, opossums, and more. You will need professional Bradenton snake removal or raccoon control if you can't trap the wild animal on your own and perform full repairs and prevention to keep pests out for good. We perform the repairs and decontamination if necessary. Rats and mice love to live in attics, and can chew wires or leave droppings. In fact Bradenton wildlife frequently enter homes, and it takes a pest management company to remove them. We are Sarasota wildlife management experts, and are familiar with all the pest animals, including all species of Florida snakes and bats. We at Nuisance Wildlife Removal are the best among Sarasota nuisance wildlife companies and can solve all animal damage issues. Our wildlife operators are skilled at bird control and bat removal, and would be happy to serve your Sarasota bat control or pigeon and bird control needs with a professional solution. Opossums, skunks, moles, and other animals that can damage your lawn - we are the exterminators who can capture and remove them. Our professional pest management of wildlife and animals can solve all of your Sarasota animal control and capture needs. Give us a call at 941-256-9453 for a price quote and more information. Winter months bring a seasonal sensation to Sarasota and Her Islands, a wildlife wonderland when sightings are plentiful and bird watching is at its best. Deciduous trees reveal deer, bobcats and fox; alligators bask on the banks and migratory birds join year-round residents. Wading birds feast on fish easily found in waters most shallow this time of year, and nesting comes naturally as there's plenty of food for the entire family. Manatees are drawn to the warmth of the bay and pop up in bayous as offshore waters cool. With all this activity, it's no surprise that winter is an ideal time to meet our furry, feathered and finned friends. An excellent place to start is Myakka River State Park. It features a vast tract of Florida prairie, Sarasota's two largest lakes, river marsh and twelve miles of the Wild and Scenic Myakka River. There are 39 miles of backcountry trails, boardwalks, nature tours by tram or boat and a visitor center. Winter and spring find flocks of ducks, warblers, wading birds and hawks. "The big news is migratory birds," says Park Naturalist Paula Benshoff. "There are a lot of hawks here only in winter; eagles are nesting and can be seen fishing the Upper and Lower Myakka Lakes." Roseate spoonbills, wood storks and ducks increase in numbers and rarely seen birds like the avocet and caracara appear. Paula explains that wildlife is more concentrated and visible in winter. "As the trees lose their leaves it's easy to see mammals," she says. "Deer are commonly seen; also raccoons, opossums, armadillos, fox, bobcats, once in while an otter - they travel more when the water goes down - and every now and then, a little black bear." There are also, of course, alligators and turtles sunning on the shores during the day and snakes warming themselves on the pavement at sundown. The eastern indigo snake is among the special residents of Oscar Scherer State Park. The park's 1,382 acres, comprised of pine and scrubby flatwoods, a blackwater stream and two freshwater lakes, are also home to a large population of gopher tortoises, gopher frogs and the threatened Florida scrub-jay. Winter adds warblers, ducks, geese, red-tailed hawks, white pelicans and whip-poor-wills. Bald Eagles are here from October through May. Southwest Florida District Biologist Terry Hingten tracks, monitors and surveys listed species, like the elusive southern flying squirrel. More common is Sherman's fox squirrel, which has a black mask and grows up to three feet long. Terry explains that vigilance is key. "You have to be alert," he says. "I just saw a gray fox; there's also the occasional white-tailed deer. You might even see a bobcat run into the palmettos on a footpath ahead of you." Besides hiking, canoeing is very popular at the park and affords views of wading birds, alligators and river otters. Maple Branch Swamp and the Tatum Sawgrass Marsh. Visitors can safely enjoy the sights and sounds of the swamp without getting their feet wet. An observation tower at the end of the boardwalk is a favorite spot for birders. Another exciting way to see Sarasota's wildlife is by kayak, according to David Bulloch, regional director of the Southeast Chapter of the American Littoral Society (ALS). The not-for-profit, all-volunteer society is dedicated to the environmental well being of coastal habitat and offers organized kayaking outings, among other fun and educational tours. "Kayaking is a beautiful way to glide into places that there's absolutely no other way to reach," he explains. "It provides opportunities for discovering oyster beds, fish breeding areas and unspoiled, hidden pockets teeming with marine life." David suggests some lesser-known hotspots for viewing coastal creatures: The bay side of South Lido Beach, Bay Walk on City Island and Bird Key Park are just a few. You can find horse conch, lightning whelks, pink shrimp and seahorses in knee-deep water. The male sailfin molly flashes a blue iridescent dorsal at Bay Walk, while bottlenose dolphin frolic offshore. The bay side of the beach at Palmer Point hosts oystercatchers, roseate spoonbills and other wading birds attracted to these fish-fertile flats. Further north, the Bird Colony Islands are a series of mangrove islands with hundreds of nesting birds at the height of the season from January through April. And that alone, Dave says, ". is a sight worth seeing!" What are you waiting for? Grab your binoculars, scoop up the kids, slap on some sunscreen and see Sarasota's show of wildlife this winter.